Dr. Jones' Ultimate Canine ADVANCED Formula: Complete, All-Natural Nutritional Health Supplement for dogs in a new formulation. Looking to save money? Order on our Auto-ship plan (on a 1, 2 or 3 month or 6 weeks schedule and save 10%) - choose your plan term under 'Subscription type'. Dr. Jones' Ultimate Canine Advanced Health Formula is a powder, and the jar contains one month's supply for dogs up to 50 lb in size (30 servings). Have UC Advanced, I could swear my dogs vision is clearing after 3 weeks, she also has more energy and her ears have stopped itching! Love it! Appears brighter and less depressed (behaviour change that I cannot articulate clearly but a noticeable change). I am thankful I was told to look you up and that I decided to try your Canine formula. I was a little skeptical of some of the claims but I still wanted to give Sam (30 lbs terrier) something extra as he's been raw fed since adopting him 4 years ago. He's now going on ten and prior to the supplement he was very energetic just as we got him 4 years ago, so I thought. I got the supplement and gave it as instructed and now after the 1st jar is finished and just barely started the second, it's as if I have a 4 or 5 year old dog in the house. He's full of energy and is always bring a toy to play (I work from home). People in the street can't believe he's 10 years old as he acts and looks like a puppy or very young dog. Love the supplement and plan on getting more. My 10 year old golden retriever had three very large fatty adenomas. 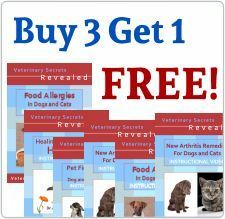 One is almost gone now, and the other two are about one half in size after two months of using the Ultimate Canine Advanced health formula for two months. She loves the taste of it, and will even lick it right off my fingers. She was going to need surgery to remove the one on her front right leg especially. We can avoid an unnecessary surgery for her thanks to your product. I absolutely loved Dr. Jones' Ultimate Canine Health Formula (30 Day Supply) and thought the advanced formula would be better, but my little guy won't touch his food with this sprinkled on it.